After a necessary acclimatization at Lake Titicaca, we begin our trek in the Illampu mountain range, Giants of the Cordillera Real, this barrier dividing the Altiplano from the Amazon Basin. 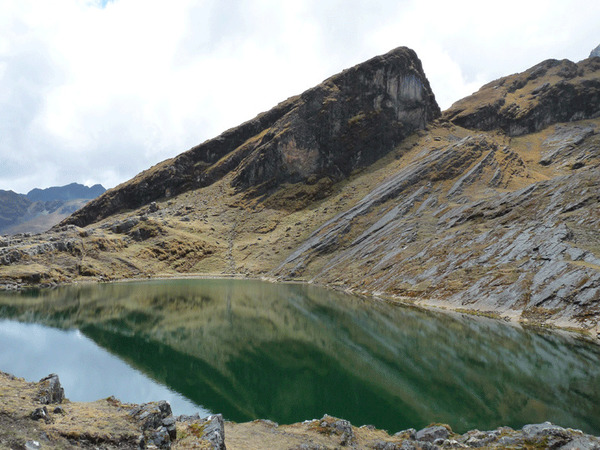 This eight-day trek takes us from the North of the Cordillera to the Apolobamba mountain range, Land of the Kallawaya Healers. They are believed to represent the last ethnic trace of the Tiwanaku lords, still speaking their ancient language, the Pukina. For enthusiasts of wild encounters and lovers of wide-open spaces. Night at the Rosario hotel***. We will start the trek from the ruins by following the topline of the island until the village of Yumani in the South (a 3 to 4-hour hike). Note: During the following 2 days a boat will be available to transport the group as well as the gear during the walks. In the morning, a short hop by motorboat first takes us to Pilkokaina temple, south of the island. 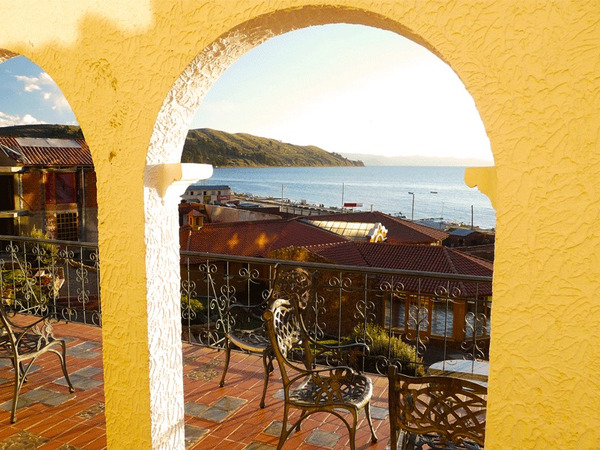 This palace was built by Inca Tupac Yupanqui for its pilgrimages on the island. 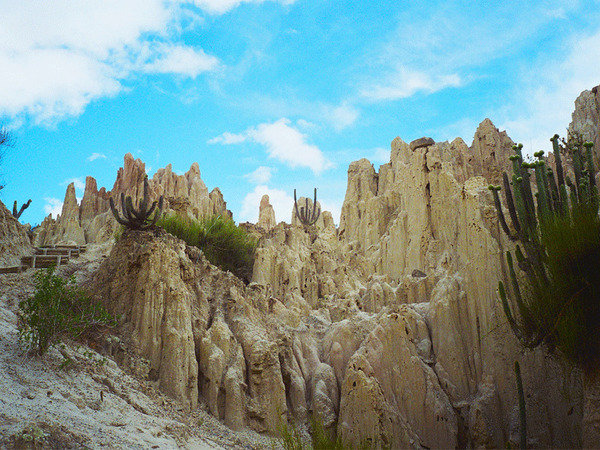 We then head to Isla de la Luna where we visit the temple of the Ñustas, The Inca virgins. 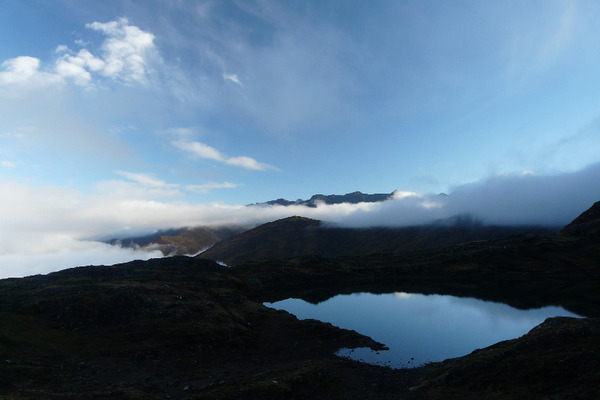 We then cross the whole Lake to Kalaki, on the Eastern shore (3 to 4-hour traverse depending on the weather conditions). There a vehicle awaits us to take us to the village of Sorata, at the foot of the majestic Illampu (el. 6430 m.a.s.l.). 2 to 3-hour journey between Kalaki and Sorata. There a vehicle awaits us to take us to the village of Sorata, at the foot of the majestic Illampu (el. 6430 m.a.s.l.). 2 to 3-hour journey between Kalaki and Sorata. 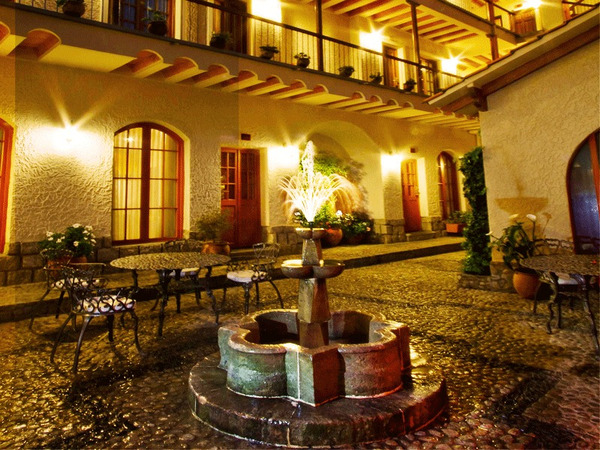 Night at the Las Piedras hotel**. Difficulty: Trek at high elevation. From 5 to 7 hours walking per day. Good fitness required. 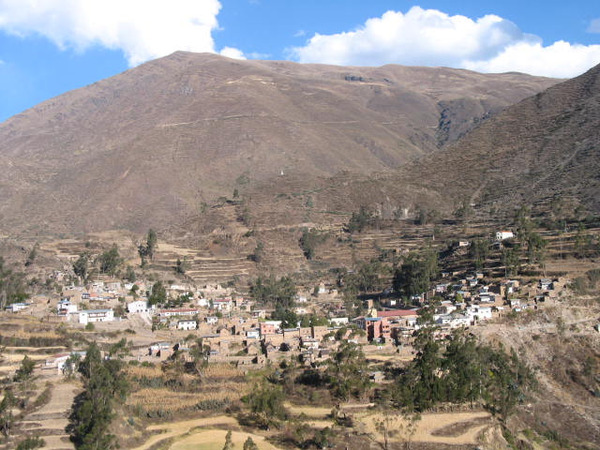 We will meet with the team and the mules in the morning and start the trek from Sorata, walking up the Illampu´s slopes. The climb will be gradual, passing through hamlets and cultures where we can see some ancestral techniques being used. The landscapes becomes more and more arid and the view over the Illampu more and more impressive as we will take some altitude. 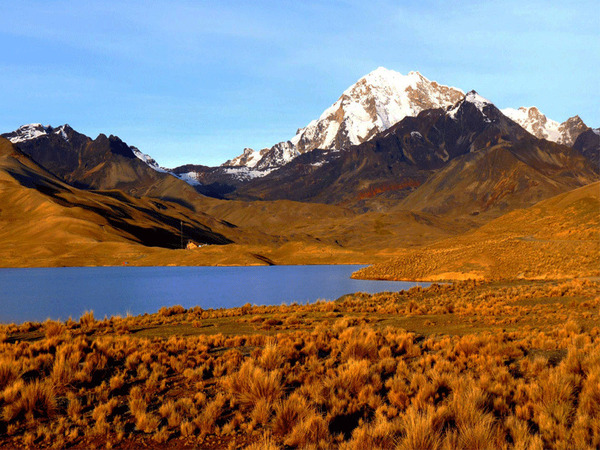 After 6 to 7 hours walking on llamas tracks we will arrive to the Laguna Chilata. Departure in the morning to climb to the Laguna Glacier, which name is due to the glacier dropping into it. 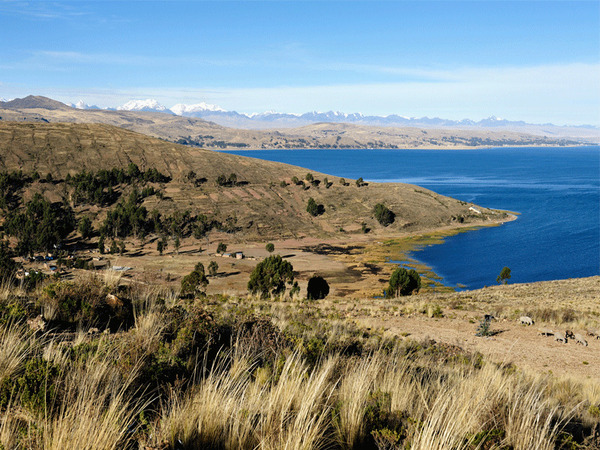 View over the Lake Titicaca, the Sorata Valley, the Andes... Well worth the effort! We will walk up a steep track to a breach, from where we will encounter even steeper sections among huge boulders to arrive to the laguna after 4 to 5 hours. 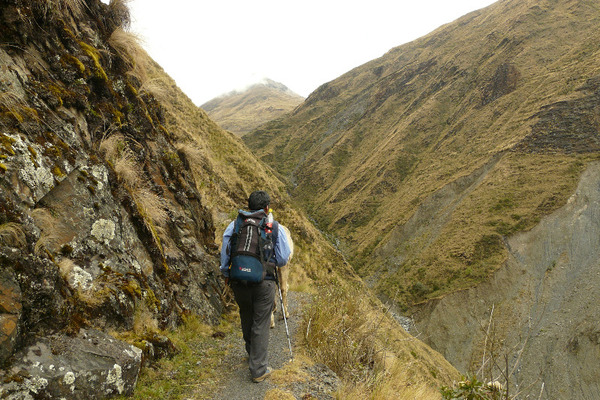 Descent to the camp near the Laguna Chilata in the afternoon. Descent to Sorata in the morning. Lunch and dinner are not included. Hotel. Departure from the hotel ar 08:00am by private 4WD. 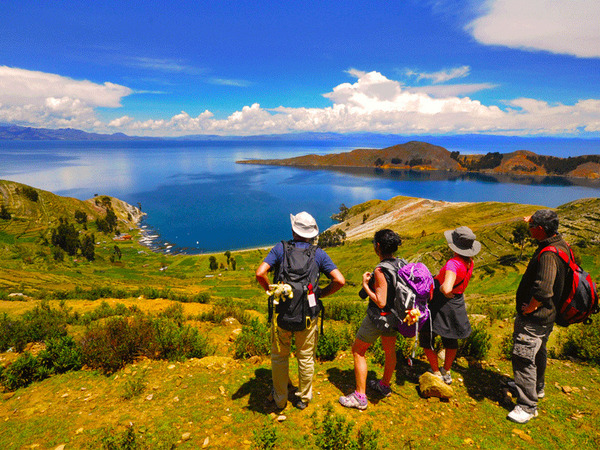 We will drive along the famous lake Titicaca and pass through many village typical of the Altiplano. 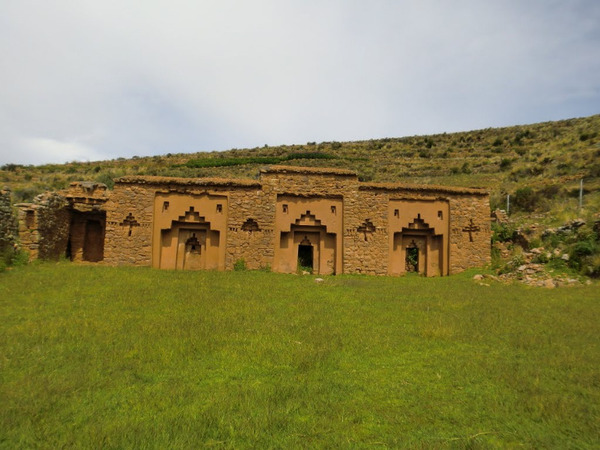 We can visit the churches of the Carabuco and Escoma villages, described as the "Sixtine chapels" of Bolivia. 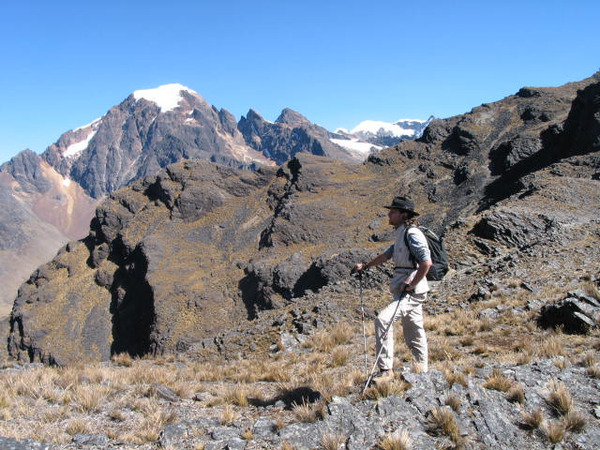 After lunch we will pass a serie of saddles to the upper areas with views over the Cordillera Apolobamba and the impressive summit of the Akamani (5666m el.). 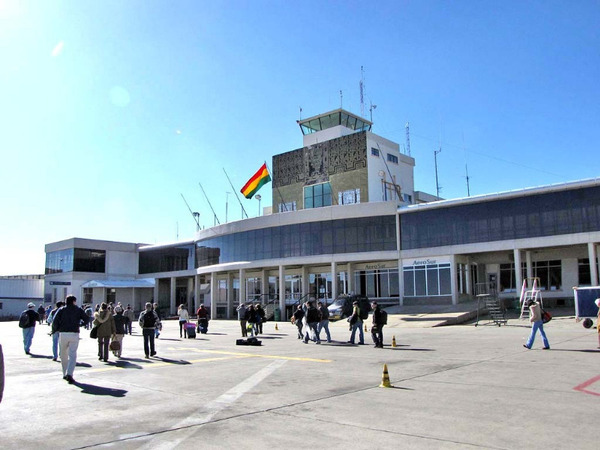 We will arrive ato Charazani early in the afternoon and enjoy the thermal springs (depending of the time). 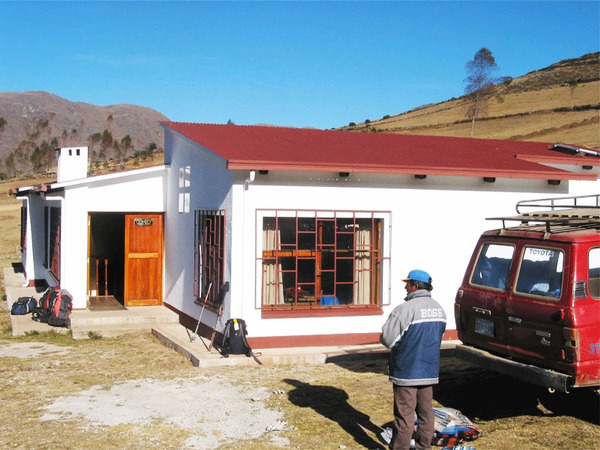 After a few more driving hours from a village to another, we will eventually arrive to the town of Lagunillas (6 to 7 hours on dirt track from Sorata). Night at the Lagunillas accommodation. 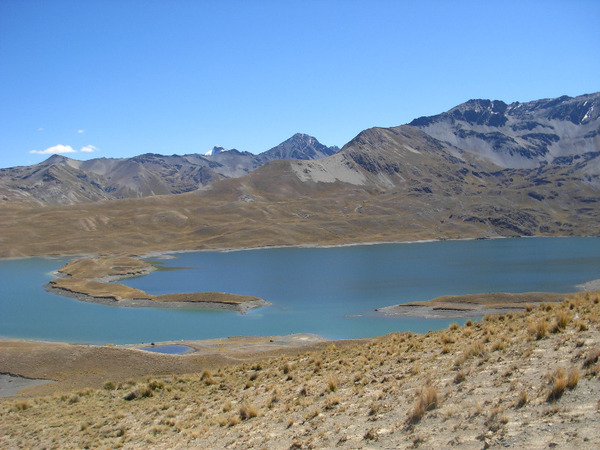 Difficulty: trek in altitude with several passes between 4.500 and 5.000 m.a.s.l. (at least two per day). From 5 to 7 hours of walking a day. Good fitness required. 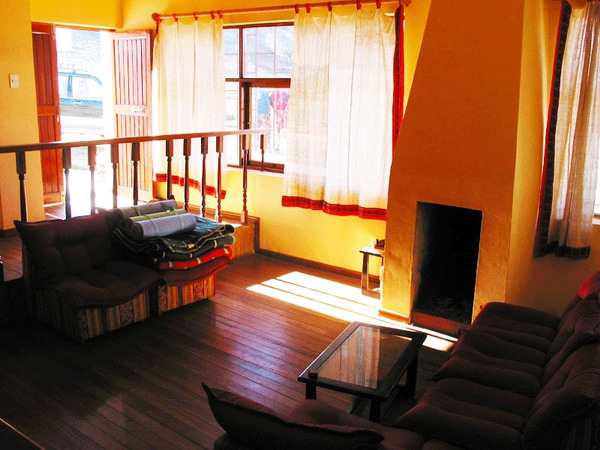 Departure from the lodge at 9:00am for a walk to Curva (3780 m.a.s.l. ), a very typical village of the area. 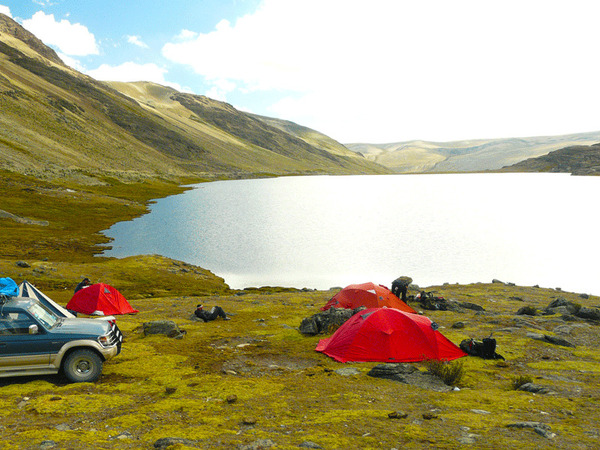 After two hours we will reach the the site of Jatunpampa for a lunch near the stream and an abundant fauna (lamas, viscachas...). 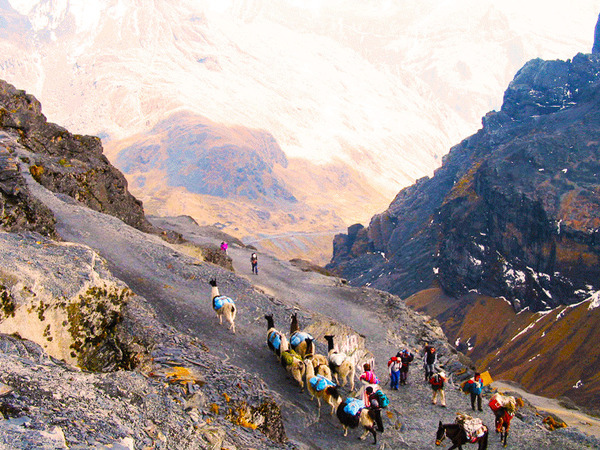 The treck continues via two saddles: the Moyokaka Pass (4500 m.a.s.l.) 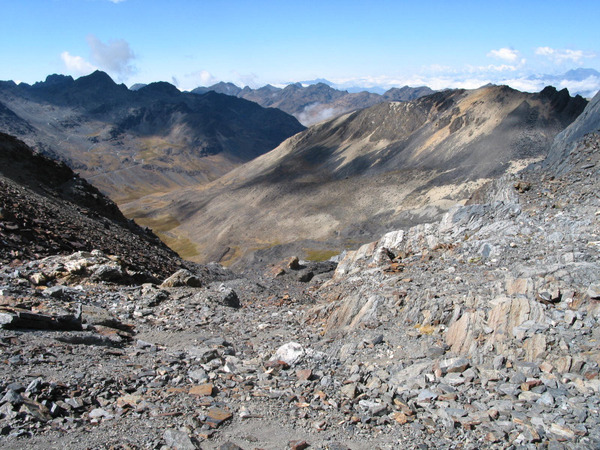 and the Tambillo Pass (4700 m.a.s.l. ), climbed in 2 and 3 hours. The Cordillera Real will be seen in the distance. 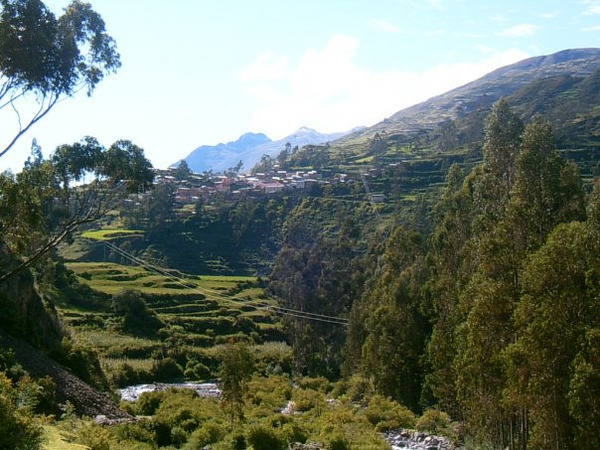 We will walk down for 1 1/2 hours to the valley where we will set up the camp (Incacancha, 4100 m.a.s.l.) near the stream where the Incas used to stop with their llamas. Departure from the camp at 8 a.m. to start with a steep climb of 2 hours (Mil Curvas gorge (thousand curves), el. 4585 m.a.s.l.). We will arrive to a small lagoon, surrounded by the mountains. After a lunch in the valley below, near some gold mines, we will attack the second pass of the day, the Viscachani pass at el. 4825 m.a.s.l. 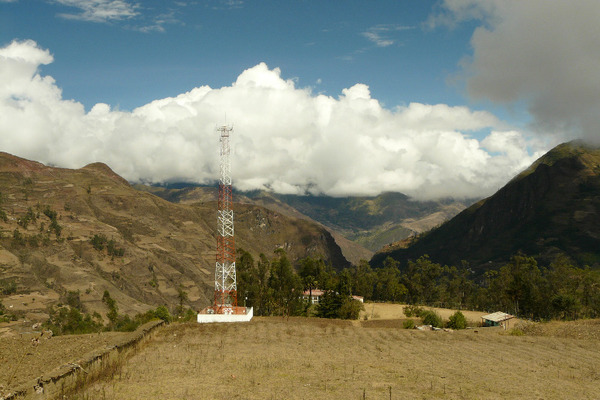 The summit of the Huayna Sunchulli will appear in front of us. After a 1-hour descent, we will reach the gold mine of the “the Virgin of the Rosary” where we can find miners still searching for gold, and even buy some chips of the precious metal. At the end of the day we can wander in the “pueblo perdido” (lost village) near the mine, where the Spaniards had built their houses to exploit the mountain: the crazy history of the gold fever for the Spanish crown. We will leave the camp and start the steep ascent to the Sunchulli Pass (el. 4905 m.a.s.l. 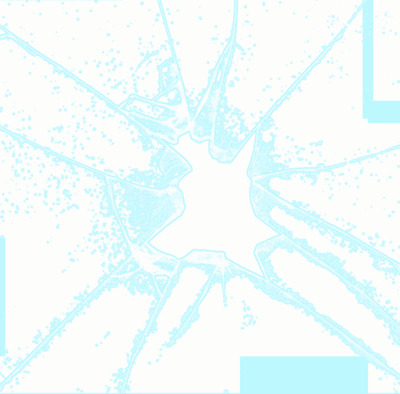 ), in approx. 2 hours. From there, we can see a small lagoon at the base of the impressive glacier. We can see another time the traces of the gold miners etched on the mountainsides. An easy downhill will lead us to our lunch spot. In the affternoon we will walk to the Koppe Pass (el. 4930 m.a.s.l.) from where we will have a splendid view over the Valley of Azanjoce. Superb panorama over the Andes. We will reach our camp (Pauchi Cocho el. 3700 m.a.s.l.) after a steep descent (2 hours from the last pass). 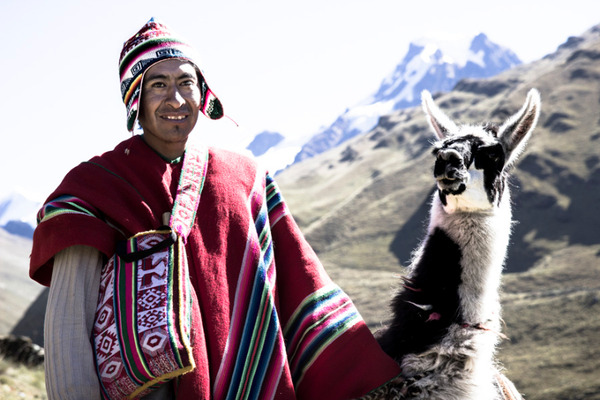 Guide who is with you during the trip and speaks your language. We will walk down to the valley of the Hilo Hilo River before starting a 5 hours climb to the Pelechuco Pass, highest point of the day. 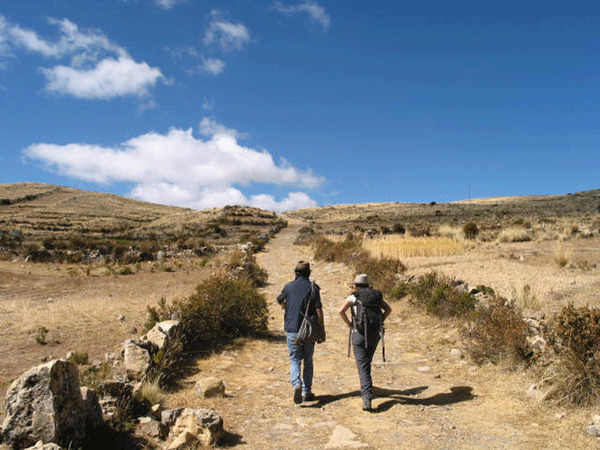 We will walk thrown picturesque villages with their small thatched roof huts and see the flight of the famous Andean condor with a bit of luck. After a long descent towards Pelechuco (2 hours), we can see the imposing Katantica at 5560 meters of altitude and dominating the valley. Arrival in Pelechuco at the end of the day. Cold lunch. All included. Night at Marina and Reynaldo's (basic comfort). Night at the Aguas Blancas lodge. Departure from Pelechuco by private 4WD to return to La Paz, through the National Park of Ulla-Ulla and the Cololo Lake (9-hour journey). 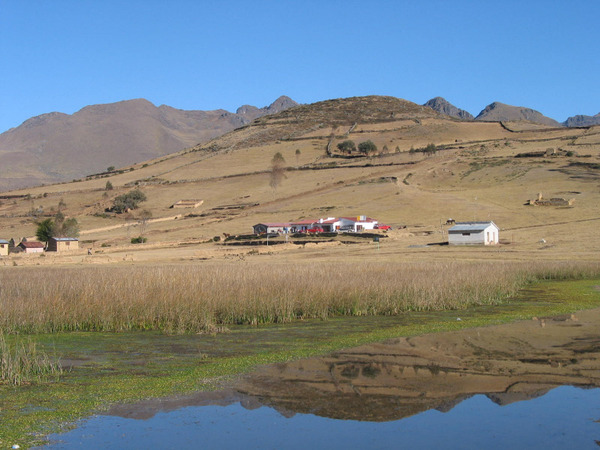 We will be able to observe the fauna and particularly hundreds of vicuñas, lamas and other camelides. 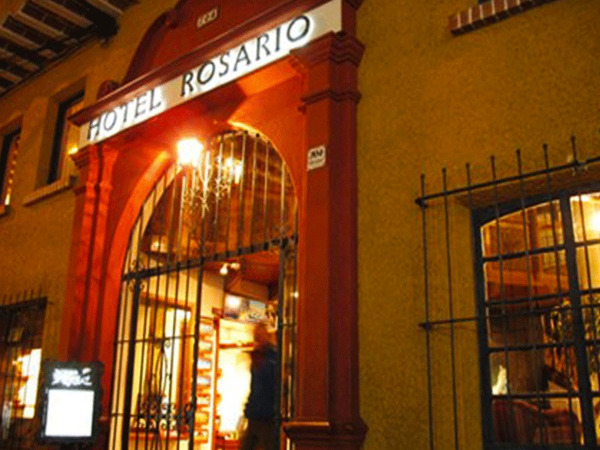 The original house where now Hotel Rosario is located was built in 1928. It's first name was Residencial Rosario. 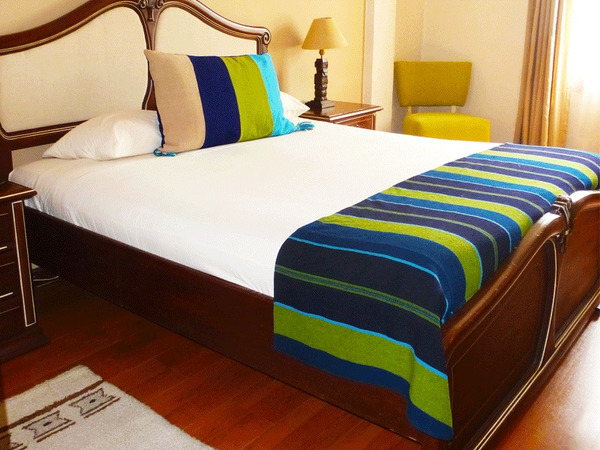 In year 2001 Residencial Rosario changed to Hotel Rosario, because it met all the requirements to be categorized as an hotel with three stars.This hotel offers an excellent comfort and a great quality of services. 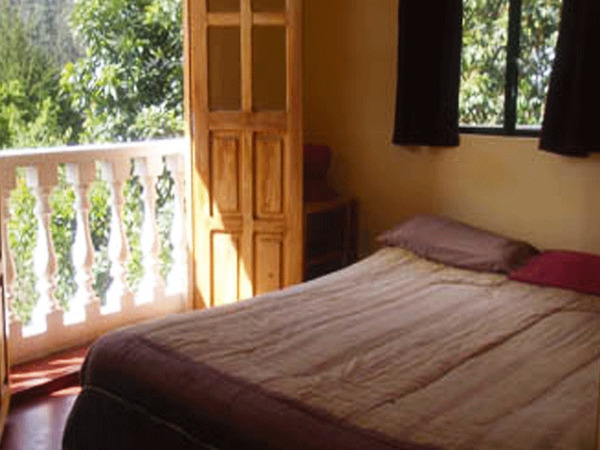 Las Piedras is situated near the major place in Sorata. 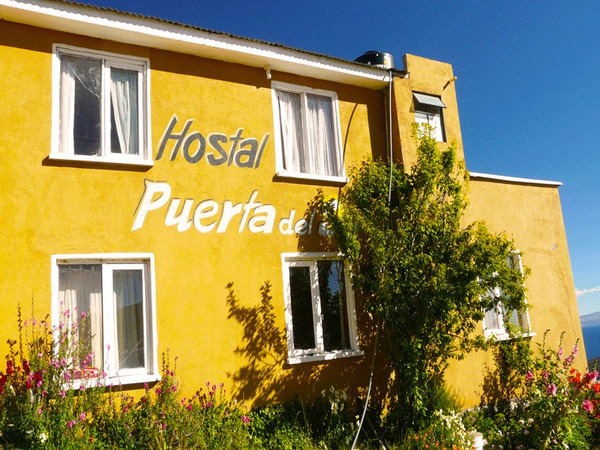 The Hostel has been created by Petra Huber, who is very friendly and she can speak spanish, english and german. 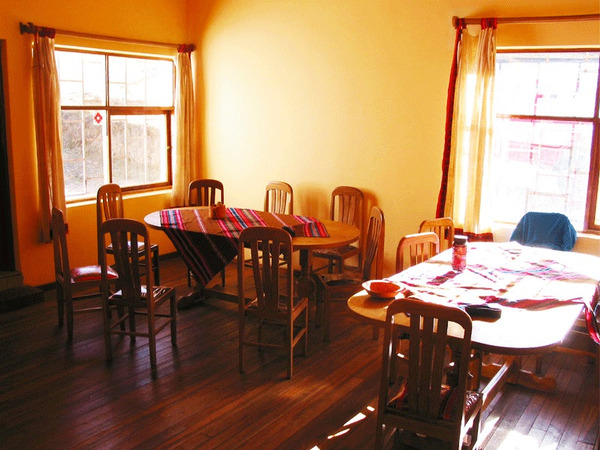 This hostel is clean, spacious and welcoming and there is a wonderful view of the valley. 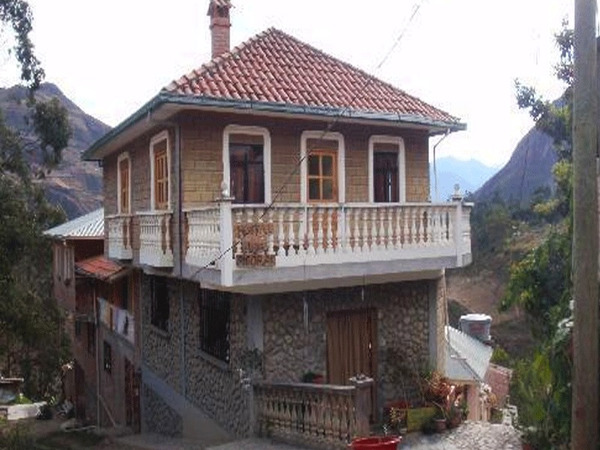 The accommodation Lagunillas is a touristic hostal which offers basic comfort (bathroom, hot shower), a living room with fireplace. 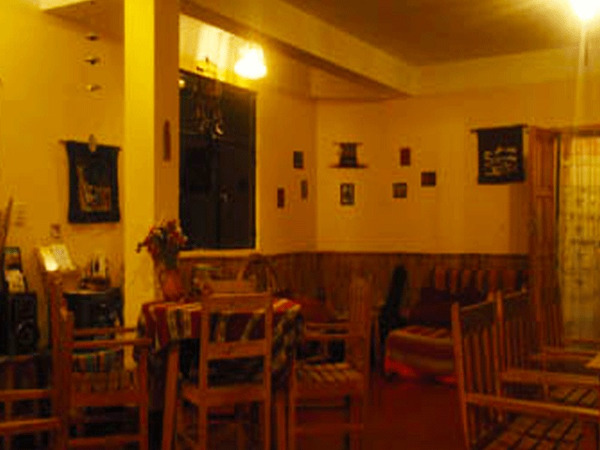 In the village there are shops which offer food and basic products. 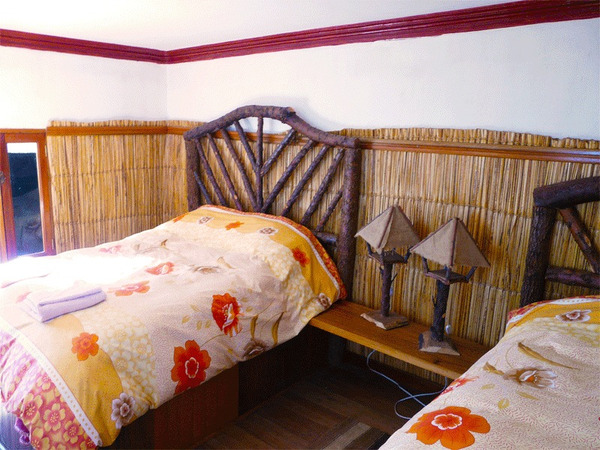 It's the best accommodation in Aguas Blancas: a coutryman's house.